As a local organization, we here at Costa Rica Outward Bound are always looking for opportunities to help the communities in which we work. One of our strongest community relationships is with the local Costa Rican scouting association. Recently the association acquired a new property near the warm river climate of the Sarapiqui River. 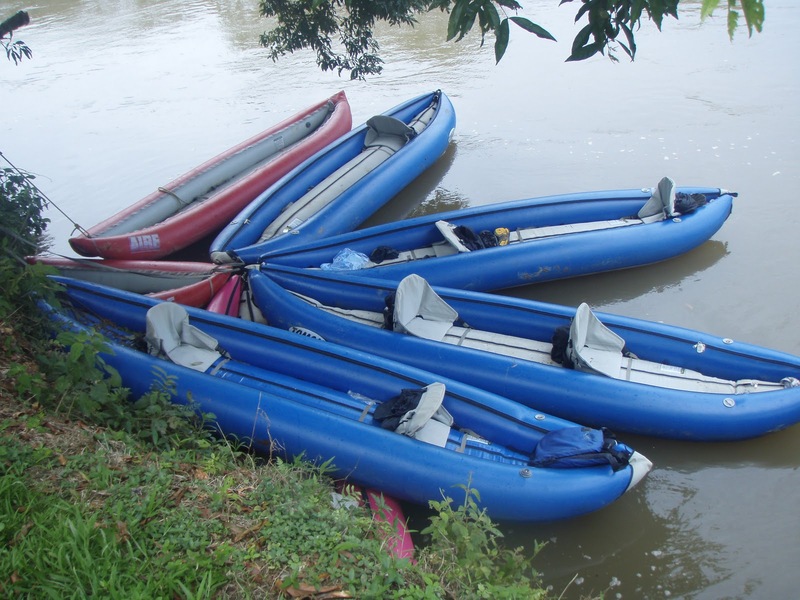 They want to expand their team building programs for Costa Rican boy scouts and girl guides, as well as offer new programs focused on swimming and building and testing hand-built rafts. Some of our river staff took a trip out to the association’s property to help scout out (no pun intended) its river access and ensure it was safe for the proposed activities. Costa Rica Outward Bound will also help in river program development to support the association’s efforts to provide opportunities for Costa Rican boys and girls to develop leadership skills and team building through scouting. The best tool for scouting rivers, Duckies! Positives: The tent was very dry, even with the rainy season being in full swing. This is a good result of the rain shell being so robust. The extra rain coverage did not make the tent overly hot, with good ventilation throughout. The set up was breeze, with only two main support poles. The tent was used by two of our instructors as well as a week’s worth of equipment, which still yielded a spacious and comfortable interior. The mesh netting in the tent was great for storing extra gear, and proved a perfect spot for lights and loose articles. Suggestions: The instructors felt that the tent might be improved with a more durable fabric for the base of the tent. Overall feedback was resoundingly great, which is great because these tents are going to get put through some very serious tests! 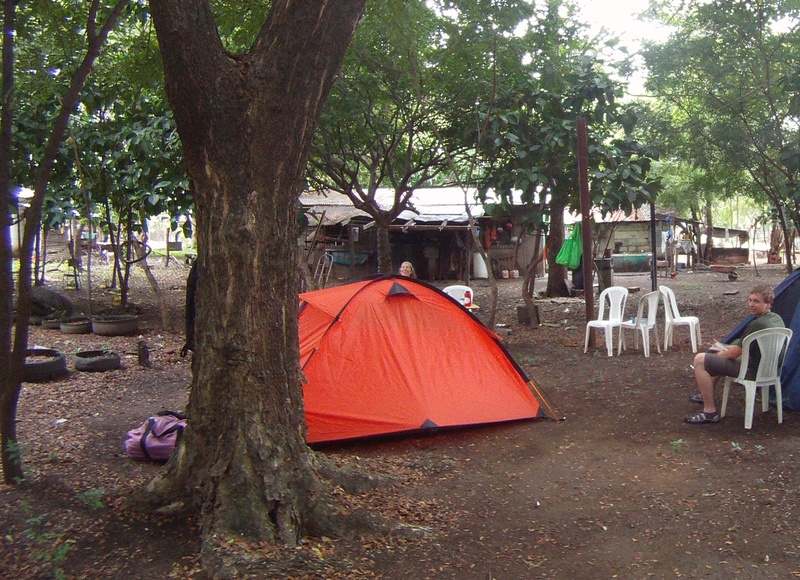 Stay tuned for more as our new tents experience life in Costa Rica. It’s always fun to read about surfing, especially when there are traditionally male competitions allowing women to enter. Story here. Everyone knows that traveling can be a little bit stressful at times, but the fact remains that certain generations had more concerns about mythical monsters than airport check-in lines. Story here. Although Friday tends to be a great day for just about everyone, make sure you are not the one person in the 1-3,200 chance someone gets hit by a falling satellite. Story here. Depending on the type of course here at Costa Rica Outward Bound, there’s a small chance you might be able to spot a dolphin. Based off of this article, you should practice your hybrid human-dolphin language, because chats with dolphins are just around the corner. Story here. Sometimes a good old fashioned beach trip is just what the doctor ordered; and this was certainly the case for certain Outward Bound staff this past week. A recent trip saw travels to Montezuma, Manuel Antonio, along with a sweet boat ride and zipline trip thrown in for good measure. Take a look at the documentation below! New Gear for Costa Rica Outward Bound! Having good equipment is an important part of having a good time in the outdoors. Nobody wants to have a trip ruined by malfunctioning or poorly designed gear. At Costa Rica Outward Bound we are always on the hunt for tools that work well in the often extreme environment of the tropics, while also handling the abuse caused by our rigorous course schedule. Fortunately for us, we have been afforded the opportunity to field test and use some brand new, shiny tents from North Tek Gear! This start-up outdoor gear company based out of Ohio has generously donated six 3-man Orion tents to Costa Rica Outward Bound. We sent some to Nicaragua with our Tri-Country Semester students and will report back with their feedback. The Orion is a rather unique tent in that it does not have a traditional rainfly. The two main support poles run through the fly (rather than the tent body), with the main tent body suspended within by a system of small bungee cords. The Orion’s clever design allows you to disconnect the main tent body and set up just the rainfly as a kind of canopy-shelter with a floor (similar to a footprint setup that most tents sell separately)– lending tons of ventilation here in the damp but warm climate of Costa Rica. Though, the tent itself has a solid ventilation system at the top and in the corners. The other advantage of this suspension design is the additional space between the fly and the tent, meaning less rain will find its way inside. And, set up and break down is a breeze! We love the healthy-sized vestibule for shoes or other gear needing a dry home (outside!). Inside, there is good storage space in corner pockets and mesh netting at the top – useful for placing a headlamp to brighten the interior. The single door and 2+ tent pole setup keep the weight low. And, the unit comes with a nice compression sack. All in all, the staff here is eager to grab a pack and test Orion’s unique design features in one Costa Rica’s more remote locales! Over the coming months, we will be checking in with updates, adding to what will be a long-term review of North Tek’s Orion tent. Stay tuned for more about the Orion! Here in the marketing office we always enjoy an interesting story. Whether it’s an article related to our industry of “all things out-of-doors” or simply a funny story about an intoxicated moose, we like to stay informed. Thus, we would like to take an opportunity to share some of the things we’ve been reading lately, with the hope that you might find them as interesting as we do. Looks like Prime Minister David Cameron enjoyed his time on course with OB England. Maybe we need to check the schedule of Costa Rican President Chinchilla! Link here. As ideas around healthy and sustainable diets evolve, it is always good to hear the perspective of someone living the dream, for example, this person. Link here. Some may know about the globe trotter girls. If not, they recently made their way to many of the places we go on course and had some great photos to share! Link here. Working out in a gym is something we would rather not do. If you agree with this, the following video might help give you some alternatives. Link here. Speaking of working out, next time you’re on a flight to Costa Rica (or elsewhere), try some of these handy exercises to keep the blood moving. Link here. Costa Rica Outward Bound has a lot of awesome equipment that we use throughout the year. 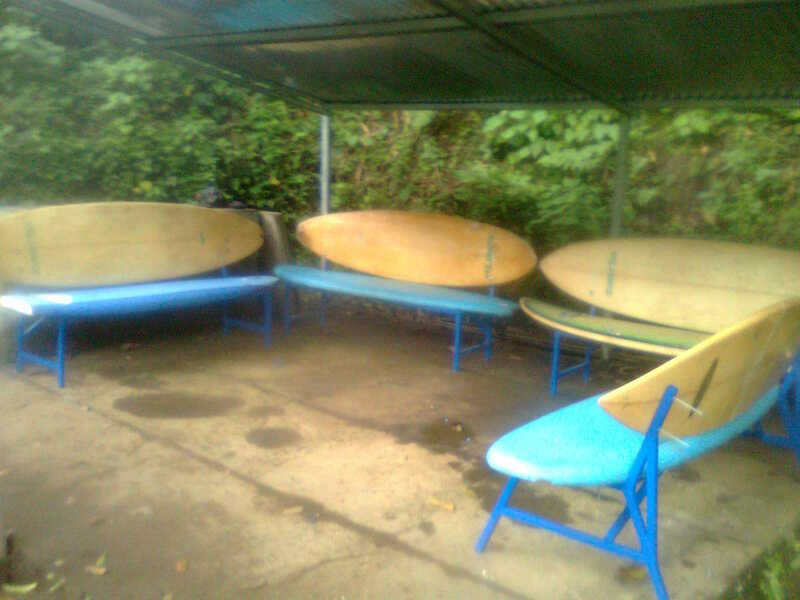 These tools of the trade include backpacks, tents, surfboards, rafts, kayaks and much more. You name it, we probably have it! The thing is our various types of gear often have hard lives and eventually find themselves no longer in use. However operations manager Sam Schlesinger and some other OB staff got a little bit tired of our equipment being so lazy and decided to put them back to work. Surf boards are a great thing, especially in the water. But what to do with them when they no longer serve their water-oriented purposes? Well, turning them into a couple of nice benches seems like a good idea to us! 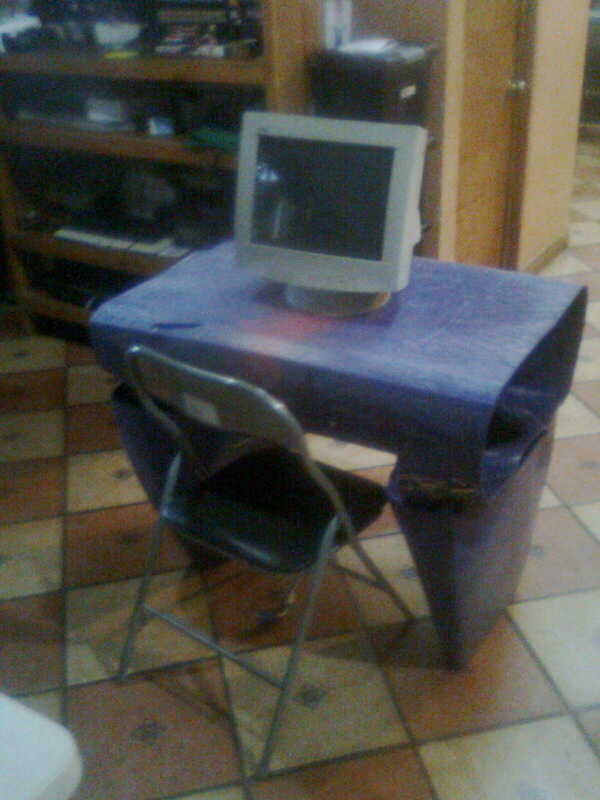 A comfy seat for all! Kayaks are also great in the water. But what happens when the whole floating thing doesn’t work out so well? Did somebody say new tables for everyone?? Costa Rica has no problem growing an incredible array of flowers and plants, however sometimes a good old flower pot is hard to find. A Kayak flower pot seems like the logical next step! Awesome bonus quasi-recycling item! Ryan in the marketing office was exhausted watching two rather dangerous bikes hang out and rust, so he turned them into one rather safe bike! New Additions to Costa Rica Outward Bound! There is a new intern at Costa Rica Outward Bound! Hailing from Vermont, Nathan Poland is here for a three-month internship and will be splitting his time working in the communications office and in the field. Nate started his time with the organization as a student in the Spring 2011 leadership semester where he had an incredible experience while earning the numerous professional certifications. The leadership semester was the doorway to his internship and Nate is excited to be back. He enjoys rappelling, whitewater rafting, scuba and many other outdoor activities. 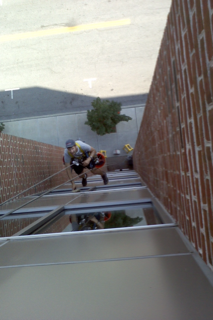 During Nate’s summer at home he used his technical ropes certification to get a job washing windows. On his days off, Nate spent his time hiking around looking for tall cliffs to scale to keep in practice, of which, he found more than a few! Now that he is back in Costa Rica we are going to see what kind of fun things he can get himself into here. While in the field, Nathan is going to be helping out with both Tri-country and Water and Wave courses. Stay tuned to see where he ends up next! Nate helping us test some new gear!